Exclusive dual-fusion technology has helped us produce a revolutionary exoskeleton that can be found in our Flex-8 system. This system offers integrated venting on the jaw which has also been strategically designed to encourage deflections and bounces. 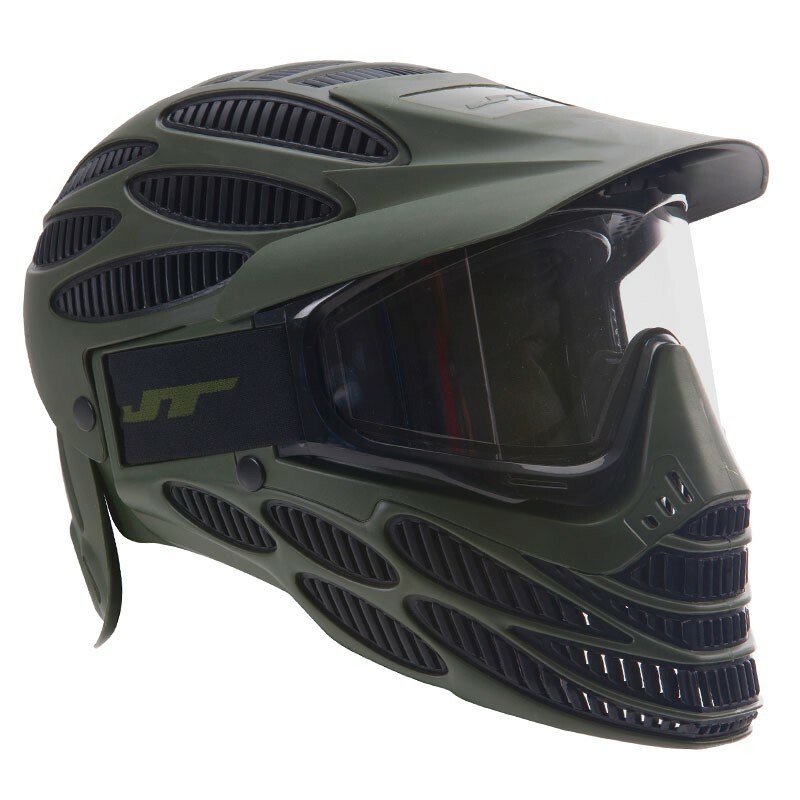 While the JT Spectra Flex-8 offers a smaller target to your opponent than previous Spectra systems, the Flex-8 goggle still maintains its ability to accept the Vortex II fan and other popular JT accessories. 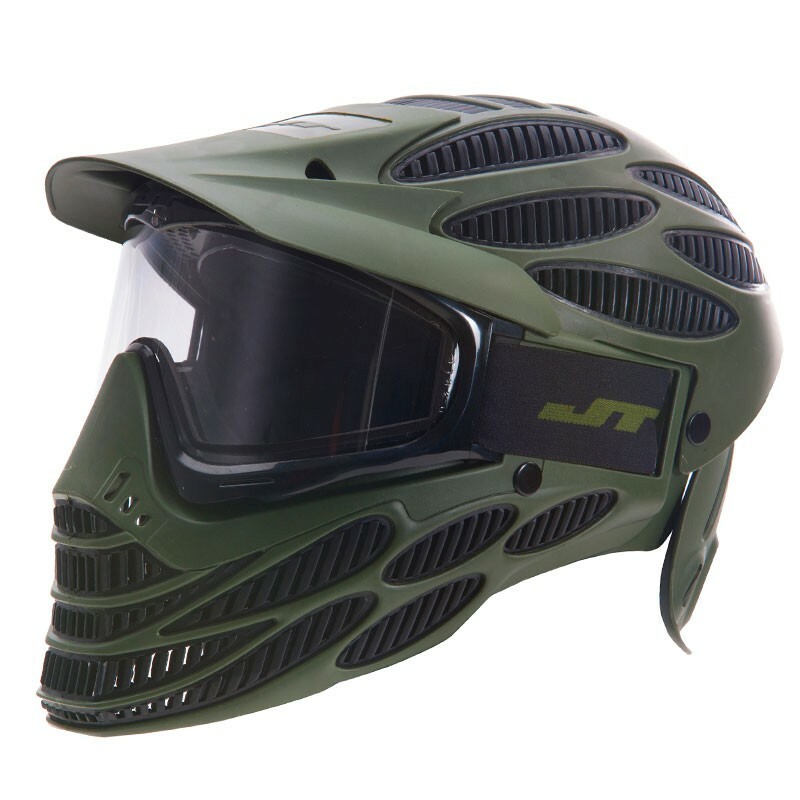 The full coverage model protects the top and the back of your head and may also be detached if necessary. All models come with a removable visor. 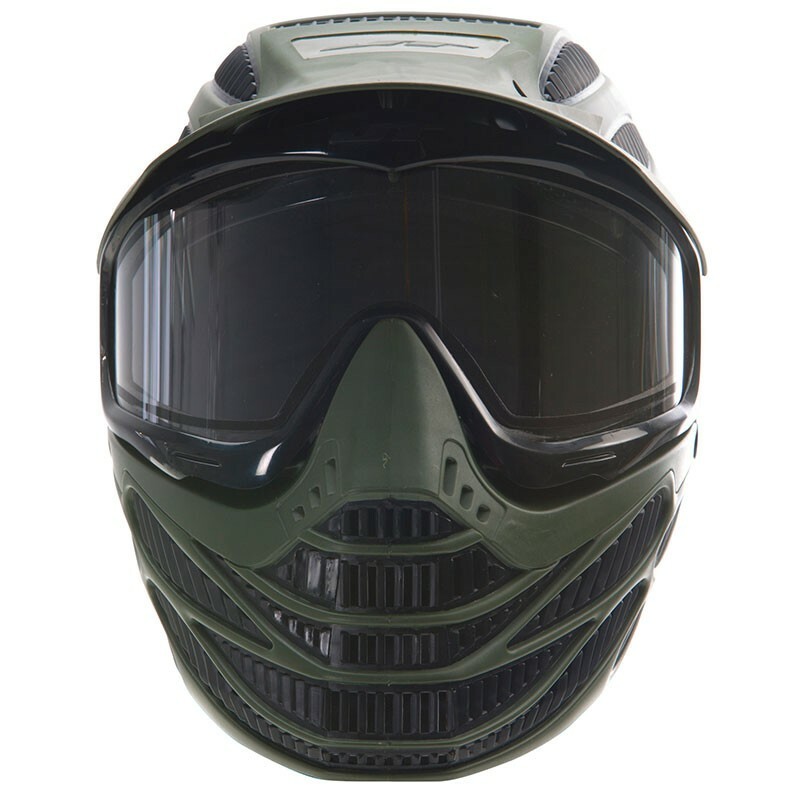 This mask is a great mask overall and does offer superior protection to those that don't cover your whole head. It is light and comfortable to wear. The only problem is that it doesn't quite cover my ear lobes all the way. I believe they should extend the mask down the jaw line a little farther. Overall an awesome mask for the price, would be 5 stars if my ear lobes were covered by the mask. Will make a minor mod to cover my ear lobes. Good protection, good ventilation, doesn't get too hot. Had a little condensation form on the inside but I really think that was just my sweat evaporating and sticking to the inside of the lens.One thing, to remove the lens to clean it is a HUGE endeavor. Getting it back in again is the hardest part by far and expect to have to clean fingerprints off it when you're done. If it was easier to remove the lens I would have given it 5 stars. Just bought this mask and played outdoor scenario. Rainy and cold at about 4 degrees C. Very physical game but did not fog up. Great protection from the head shots.